The thread based on Polyglactin-910 is a synthetic absorbable surgical material based on Polyglactin-910. The thread in the factory is firmly connected to the needle and is designed to apply a single seam. The main advantage of the atraumatic suture material is the approximate correspondence of the thread diameter to the needle diameter, thus the thread is almost completely covered by a defect in the tissues after passing the needle (when using traumatic - the thickness of the thread is much smaller than the diameter of the needle eye). 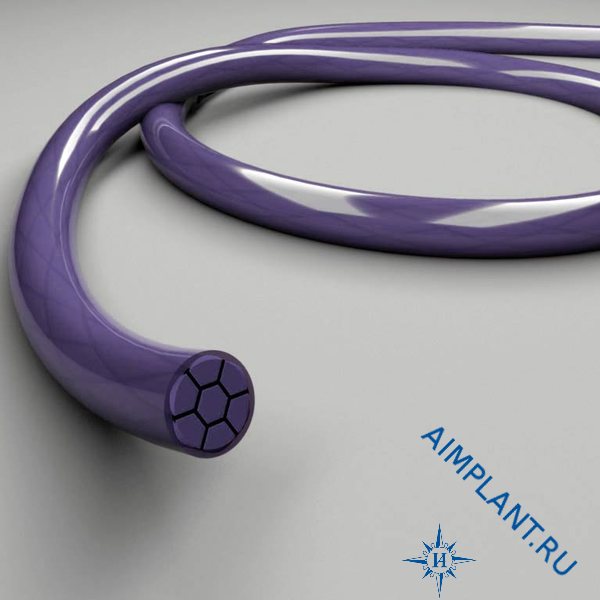 In connection with the use of atraumatic suture material allows to achieve better tissue regeneration after surgery. To reduce capillarity and wickedness, reduce the sawing effect when carried through the tissue, as well as to improve the reliability of the surgical site, a film coating of a resorbable polymer is applied to the thread. Threads are very strong and after 14-18 days (critical period of wound healing) retain 70-75% of strength properties, 21 days retain 40-50%, 30 days retain 20-25%. After 60-70 days they completely dissolve.